A major project to resolve a long-standing problem for Arran drivers has been completed ahead of schedule. Due to the nature of the local landscape, a section of the C147 coastal road south of Whiting Bay had historically been at risk of falling rocks, particularly in poor weather. 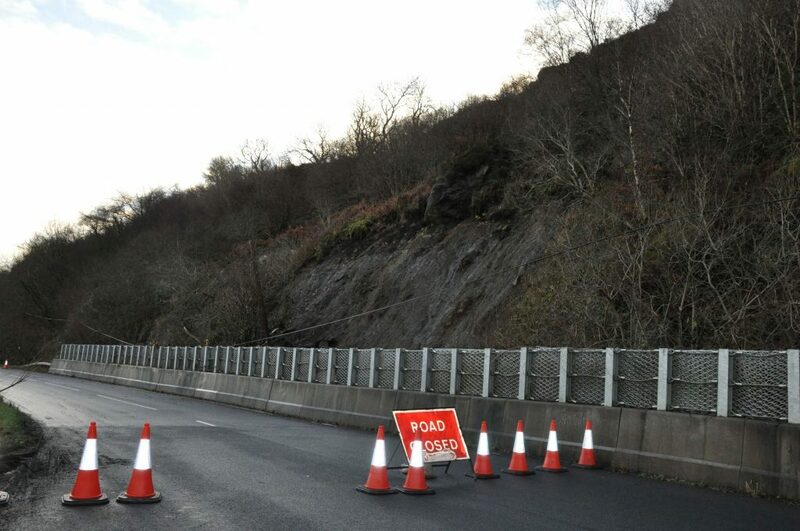 Following a sustained period of cold and wet conditions just before Christmas last year, the rock face adjacent to the road near Largybeg became unstable, forcing a temporary closure of the route until emergency slope stabilisation works could be undertaken by a specialist contractor. 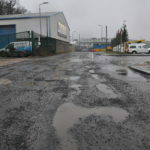 North Ayrshire Council’s Road team carried out an extensive survey to find a permanent solution to the problem, resulting in a specialist contractor being appointed to undertake the necessary works. Work got underway earlier this month to remove the large boulders overlooking the road as well as additional works on the rock face itself. The programme for the work was anticipated to take six evenings under a full road closure, however the work was completed within three evenings, minimising inconvenience to the local community. 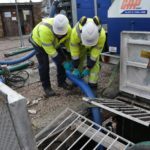 Councillor Jim Montgomerie, cabinet member for place, said: ‘This was a complex engineering project to deal with an issue which has plagued the local community for many years. ‘I’m sure both local residents and visitors to the island will be delighted to see the work carried out, improving the long-term safety of those who use the route. ‘It’s particularly pleasing that the project was carried out with the minimum of inconvenience and finished well ahead of schedule.